We gave you a glimpse at Aquatica Orlando’s newest attraction, Ihu’s Breakaway Falls, earlier this week, but today we have a more in depth look at the attraction and what is has to offer guests. Ihu’s Breakaway Falls is set to officially open to the public tomorrow morning when Aquatica opens. 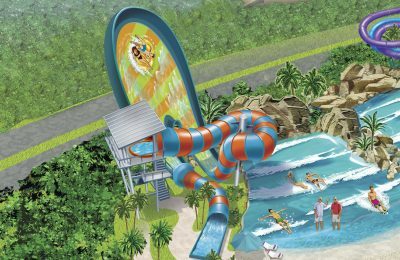 It features four different slides, three of which feature a “breakaway box” that will drop you right into the slide feet first, and one which offers guests the opportunity to slide like a traditional body slide. Each slide is different from the next. Starting with color, there is an orange, green, blue, and purple slide. The purple slide is the slide without a breakaway box, but it’s no chicken slide either! The purple slide touts the steepest drop of them all. The orange slide features the longest drop. The blue slide features turns that go in more than one direction. And then there’s the green slide. The green slide is pretty average and one of the tamer slides of the bunch. Ihu’s Breakaway Falls is the tallest slide of its kind in Orlando. 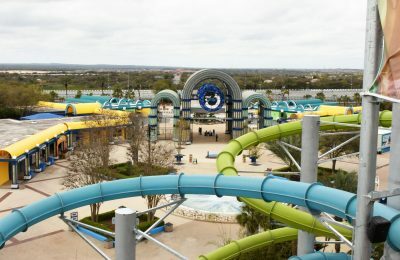 The height of the slide gives guests a great view of the surrounding attractions at Aquatica as well as some of the buildings that neighbor Aquatica. Guests will climb a total of 126 steps before they reach the ride platform before they slide or step into the breakaway boxes. Guests brave enough to #BreakawayBrave will face two others and their own fears. Guests may drop at the same time or they may drop one by one – you’ll never know who’s going to drop first! The floor will literally drop out from beneath your feet and you will find yourself sliding towards a huge splash down at the end. 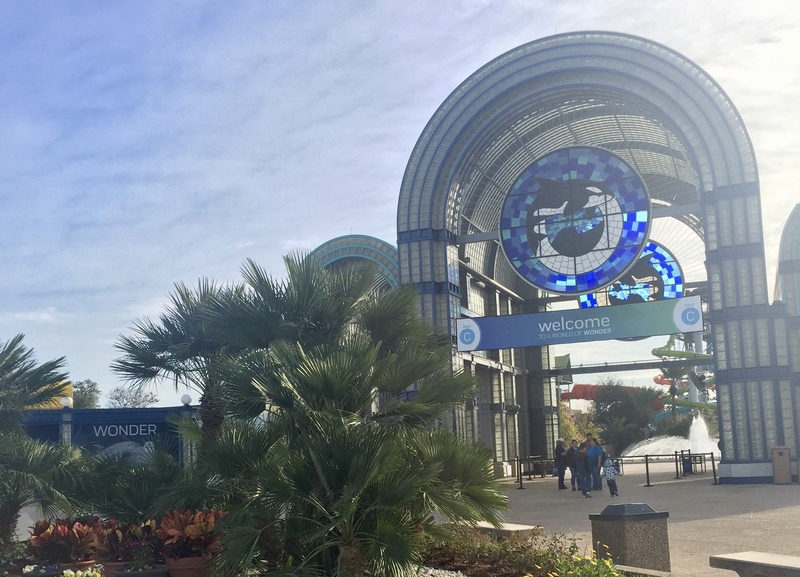 SeaWorld invited us out today to preview the attraction before it officially opens to the public. During our visit, we were able to ride as many times as we liked! I was able to ride all four slides multiple times, but I think it’s still tough to pick which of the bunch is my favorite. In general, Ihu’s Breakaway Falls is a great attraction and quite a fun addition to Aquatica Orlando. With a height requirement of just 48″, many younger thrill seekers will be able to participate in the attraction. From mildest to wildest, I would recommend riding the green slide, the orange slide, the blue slide, and finally the purple slide. The green and orange slide are very similar in comparison, however, the orange slide touts the longest drop of all four slides. Guests will be sure to love Ihu’s Breakaway Falls as it offers quite the thrills! Ihu’s Breakaway Falls packs quite a punch through mixing thrills and anticipation. Click here if you’re not able to see the slideshow. Ihu’s Breakaway Falls officially opens tomorrow morning! Are you Breakaway Brave? Previous PostUniversal Orlando gives a first look at the Hogwarts Express, coming to Diagon Alley this Summer Next PostNew experience at Disney's Animal Kingdom is for the birds...or about the birds?